Low Cost traveler? Did you spend more money than expected? Not a problem, this doesn’t have to prevent you from enjoying our wonderful city. 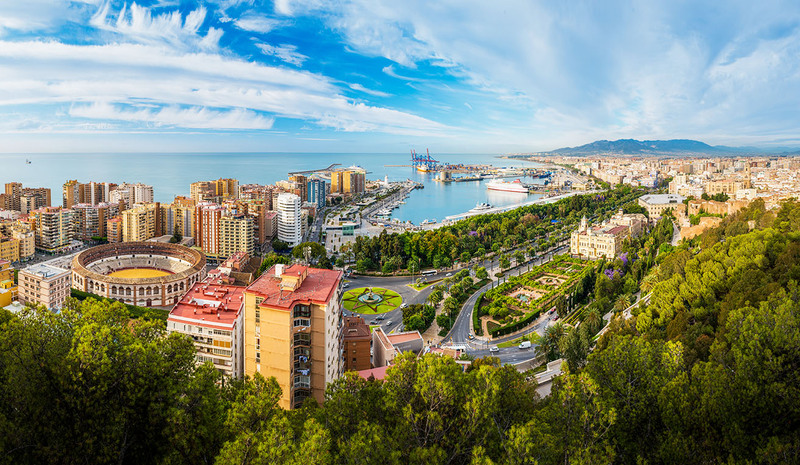 There are many totally free plans that you are able to do in Malaga and enjoy the activities of the city. Do you want to know what they are? Visiting the Pompidou center is a must for visitors who come to Málaga, but the good thing is that on Sundays from 4:00 pm the entrance is totally free. 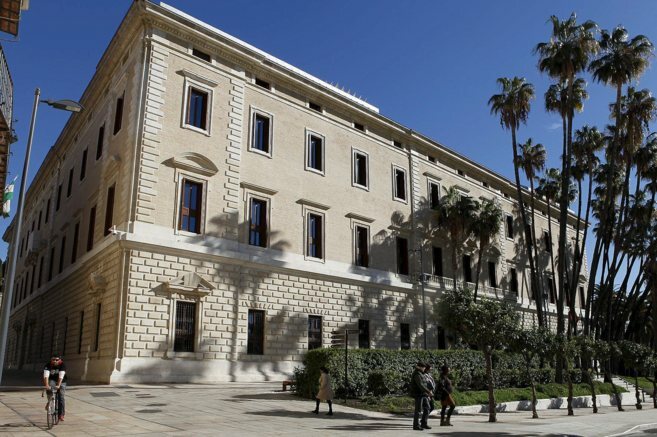 On the other hand, the Carmen Thyssen Museum has a proposal similar to the previous one, and that is that every Sunday from 5:00 pm the access to the museum is free. Other monuments and museums are also free on Sundays, check them out! So if this month you aren’t for extraordinary expenses but you don’t want to give up the culture in your routine this is your best option. Not much people think about them, but the churches of Málaga hide treasures inside worthy of being visited and the good thing is that their entry is completely free. We recommend you to take a walk through the city center and go into these temples to observe the sculptural wonders that they keep in their inside. Some of those we recommend are the Church of the Holy Martyrs, the church of Santiago (baptismal Font of Pablo Picasso) or the Church of San Felipe Neri. 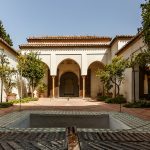 The museum of Malaga inaugurated on December 12, 2016 after almost 20 years closed meant an important cultural change for Málaga, because of having a huge collection (over 17.000 pieces) . 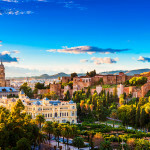 It is undoubtedly one of the best things to do in Málaga for free,since inside it contains the Museum of Fine Arts of Malaga and the Provincial Archaeological Museum of Malaga. This museum has been installed in the building that at a time was the customs of Malaga and the main entry access to the city by sea. The best thing, it’s free every day for citizens of the European Union. For not europeans, finally not expensive at all, the regular entrance is 1,50€ per person. A free tour is not for free, the name Free tour means than the people is free to decide the price at the end of it, and actually they work very good, everybody is welcome, and at the end the price will depend on your satisfaction. People choose it because of the good treatment given by the guides and because it’s the best way to get to know the city at the hands of original people from the city who are interested in making their city known. 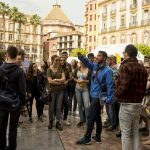 If you want to do a free tour in Malaga, you can book yours here. 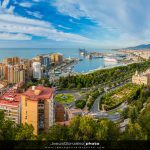 The best views of the city are obtained from the Gibralfaro lookout, there is no doubt about it and the good thing is that the access is free. The only downside is that to get there is necessary to walk up for more tan 15 minutes or you will have to take bus number 35 of the EMT that reaches the top of the mountain. We recommend this visit as you can get the best shots of the city and enjoy having Málaga under your feet. The CAC is behind the Picasso museum, the most visited museum in the city and houses collections of contemporary art, by artists such as Obey, Louise Bourgeois, Art & Language, Olafur Eliasson, Thomas Hirschhorn, Damian Hirst, Julian Opie, Thomas Ruff or Thomas Struth. The museum is free all the year for all its collections, both permanent and temporary and without a doubt it is one of the best museums to visit in the city for free. 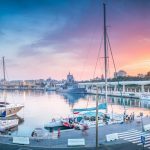 Now that you know the best things to do in Málaga for free, you can’t say you don’t have the money to have fun and get to know the culture of the Málaga. Wait! If your trip doesn´t end in Malaga, our friends from Runner Bean Tours have prepared a fantastic guide about free activities in Barcelona. We hope you like it!